We all dream of it! Being totally fluent, being able to say everything we want in another language, to understand all it’s subtilities and regiters. We did it! And now what? Of course we will keep on using the language. But when everything is automatic, it becomes as normal as using our mother tongue. Of course we always learn some new words, even in our own language, but it’s not as exciting as it used to be and it happens much less often in our daily life. Of course we can start something new. But we can also keep on learning in our second language even if we already are proficient, we can explore specific topics. When I was living in Spain, I had the oportunity to learn technical language in a lot of different areas. Sometimes I didn’t even know those words in French! I felt passionate about ornithology and botanics and I learned how to recognize and call Mediterranean birds and plants, most of which I had never seen in Bretagne. I studied environmental education and I learnt all usefull expressions about climate change, sustainable develpoment, waste management and renewable energy. I took a training course to be a travel guide and I improved my knowledge about tourism and art. I also felt a sudden interest for heraldry. It was like learning a new language. I learned pottery and basketry. I learned the names of technics, tools and materials. I also got involved in refugees and inmigrants integration in the city where I lived. I got to know their reality and I gave them Spanish lessons. Then motherhood took all my time. I read Michel Odent in Spanish. I created a blog and a non profit organization. I wrote articles, I gave conferences, interviews in the radio and on television about washable diapers, home birth, breastfeeding, respectfull parenting, Elimination communication and so many things! 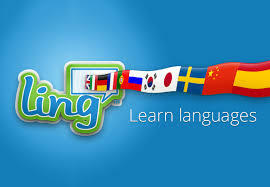 We can also explore other varieties fo the language in the same country or in the world. I learned Spanish from Sevilla and of course from Extremadura, with it’s own words, phrases, accents I even took sometimes without paying attention. I acquired such a variety of linguistic skills in Spanish that, even after years living in the country, I never stopped learning and discoveriing new aspects I didn’t know. The last skill I’ve been able to master is switching between French and Spanish intantaneously, because when my kids were born I started to use both Spanish and French everyday. I’m now in a new stage of my multilingual skill: using 4 or 5 languages eveyday and learning other 3. We can always push back our own limits!